“Advocates of legalization rightly point to the racial disparity of our jail and prison populations, noting that marijuana infractions often lead to lives trapped in the criminal justice system. We recognize the truth of that premise, while observing that recent sentencing reforms should soon reverse that trend, since possession of less than 10 grams of marijuana now results in a ticket of up to $200 and no jail time. “Medical marijuana dispensaries already exist across Illinois, ready to be converted into retail stores for customers 21 and older, leading proponents to predict that legalization will eradicate the black market. Will that actually happen, or will the black market simply sell marijuana at a lower price and to those under age? “As lawmakers consider this issue, it is important to remember they are not only debating legalization of marijuana, but also commercialization of a drug into an industry the state will profit from. In seeking the common good, the state should protect its citizens. 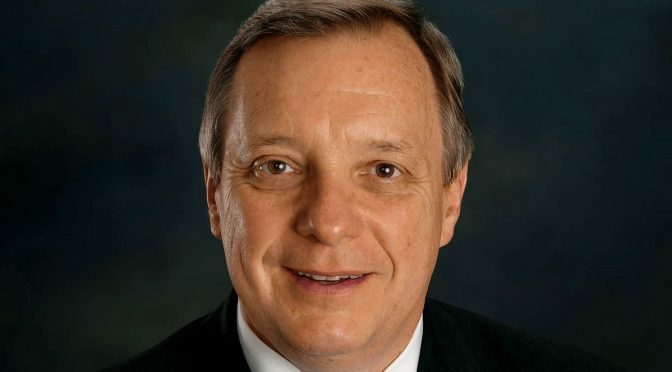 Senator Durbin and Illinois bishops are wise to warn legislators and residents. The senator is correct about the increase in traffic deaths. After decriminalization, traffic deaths involving a driver who used cannabis rose from 14% to 19% in Illinois. Illinois’ new governor, JB Pritzker, wants to legalize marijuana. He has the ridiculous notion that marijuana would be profitable as a source of tax revenue.